The first Bluff oysters of 2018, were taken onshore just before lunch on Thursday, and soon they will be winging their way to restaurants in Auckland, Wellington and Queenstown. Oyster boat Nga Roimata was the first boat to arrive in at 11am, and the first load was taken to the Ngāi Tahu Seafood processing Factory in Bluff soon after. Ngāi Tahu Seafood quota and compliance manager Rodney Tribe said the demand on the first day was a fifty-fifty split between in shell and pottles. Nourish Group executive chef Gareth Stewart had made the trip down from Auckland to pick a load of oysters to take back home. Stewart said he had booked space on flights back to Auckland, where it would be a race to get the oysters into the restaurant. On Friday night, the Euro restaurant is holding an all you can eat oyster function for 120 people. It was the third visit to Bluff for Stewart who first came down in 2016. Barnes Oysters General manager Graeme Wright said he would not be selling any oysters on Thursday, as he would let the boats have a day out fishing. They would process and sell oysters on Friday from 8.30am. If the boats came in early on Thursday, it would put the company behind on Friday, Wright said. He was expecting the price for a dozen oysters would be about $25 this year. Wright said he did not know of anyone who would be selling oysters in Invercargill on Thursday. Ngai Tahu Seafoods would have made the arrangement with those restaurants and brought their boat in early to send them off, he said. 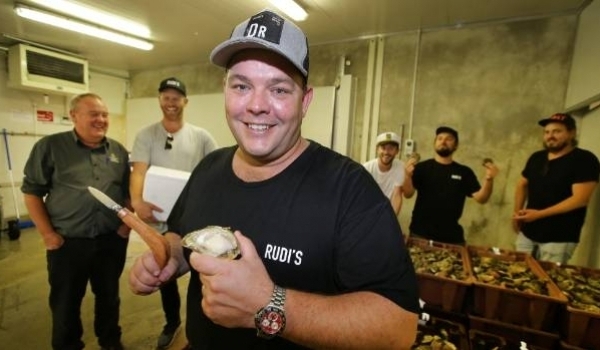 The owners of Auckland bar and restaurant Dr Rudi’s Rooftop Brewing Co. made the journey down to Invercargill to pick 100 dozen oysters to hand-deliver to their customers. Part-owner Callum O’Brien said he and the other owners wanted to do something a little bit different and instead of ordering the oysters they travel down themselves to collect them. Once home, there would be a live shucking on Friday afternoon at the bar where they would part with them by way of a gold coin donation to the charity Sustainable Coastlines.